Upper Midwest Agricultural Safety and Health Center – SPOTLIGHT: Farm Safety Partner Campaign is a Success! Helen Keller’s words sum up the power of partnerships in everyday language. 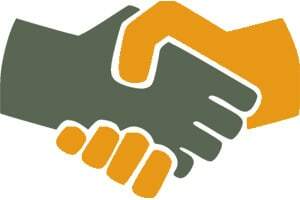 Developing partnerships is key to the mission of UMASH. 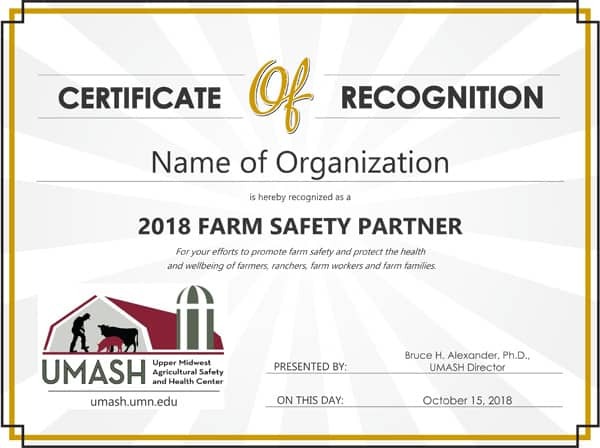 This September, UMASH launched the Farm Safety Partner Campaign to encourage others who care about agricultural health and safety to share farm safety resources and promote safe work practices throughout the month. It was an exciting time to see the broad range of organizations and groups who stepped up and shared safety and health messages. Those who participated in the campaign represented 13 states and included Extension, professional farm organizations, agribusiness, agricultural media, health care, commodity groups, state department of Agriculture, and others. When promoting farm safety and health there is never a shortage of topics. Our partners used this time to stress the importance of mental health/wellness/opioids, roadway safety, Roll Over Protection Structures, youth safety, and confined spaces. The Farm Safety Partner campaign coincided with National Farm Safety and Health Week – an annual event dedicated to safety and health in agriculture. All eleven National Agriculture Safety and Health Centers participate in this week long event to encourage farmers, farm families and workers across the United States to practice safety all year. Visit the Farm Safety Partners page to see a list of the organizations who participated. Many thanks to all who participated in bringing safety to the forefront.